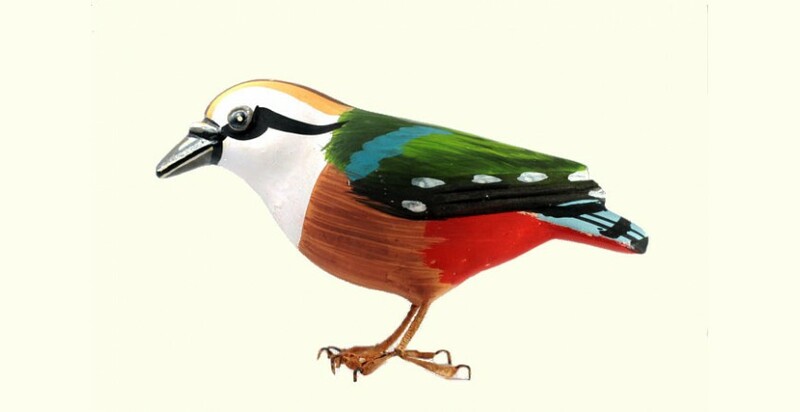 About Product : Of meadows and shaded nests in countryside, these true-sized birds from Ujjain’s Papier Mache craft bring twitter to your living spaces. Each bird is embellished with true to life patterns and colors, and a unique gesture exuding life and gaiety. Stone, too heavy; metal, too precious; terracotta, too brittle…. Is there something that can be sculpted like clay, yet doesn’t become heavy and easily breakable? 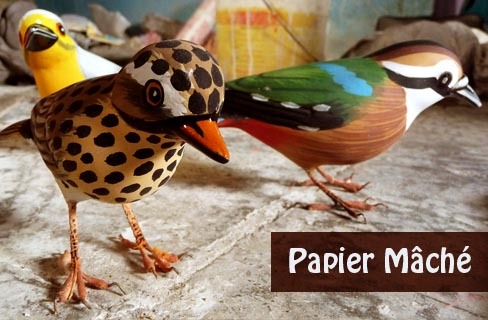 Papier Mache, a craft popular around the world, not only completes these requirements, but is also given colour and life-like qualities by the craftsmen of Ujjain and Gwalior, Madhya Pradesh. Craftsman Ramkumar Thakur has a fascinating story about how the craft of papier mâché developed and came to him. The king of Gwalior liked to decorate his palace, known as Moti Mahal, with rare pearls and precious stones. Once, a guest laid eyes on a precious string of pearls. The king had no choice but to honour his pride and gave the precious pearls to him. That’s when he asked the craftsman’s grandfather, who was a sculptor in Gwalior at the time, to make imitation pieces to decorate the palace. The proficient sculptor was also skilled in the craft of papier mâché and he brought this craft to the next generations. 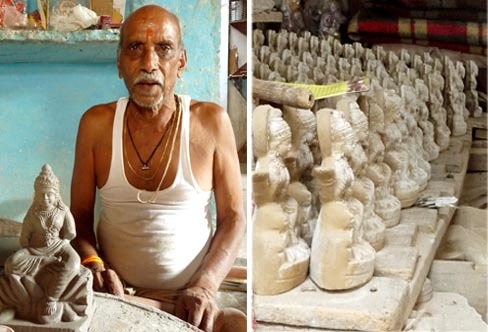 Today, craftsmen in Ujjain and Gwalior, make numerous sculptural figures with this extremely moldable material. Scrap paper, collected from local printing presses, constitutes the main ingredient in this curious concoction that converts waste to Art. Paper shreds are soaked in water for a few days, and when soft, are mashed into a pulp and dried. When dry, this pulp becomes a brittle grainy mass and can be stored for future use. When required, a chunk of the dried mass is broken and soaked in water again. It is then mixed with the gum of “dhaora” tree and chalk powder, and kneaded to get dough like consistency. Instead of shaping each piece of papier mâché individually, craftsmen sculpt clay and make moulds of Plaster-of-Paris, for increased efficiency. 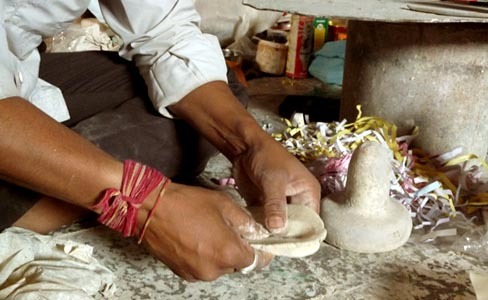 The papier mâché dough is flattened into thick sheets and cast in the moulds. After drying in the sun, the moulded piece of papier mâché is smoothened with sandpaper. The articles are then painted with “desi colours” available locally. 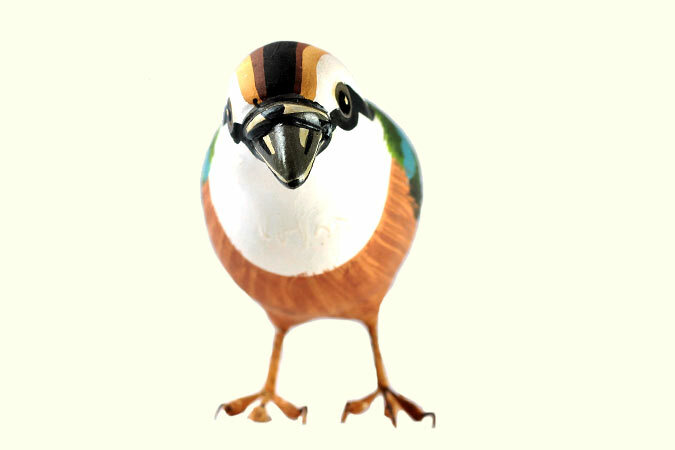 Craftsmen make all sorts of curios, like masks of animals and mythical characters, statues of gods and goddesses, but the artifact that stands out, with its true to life quality, is the birds. 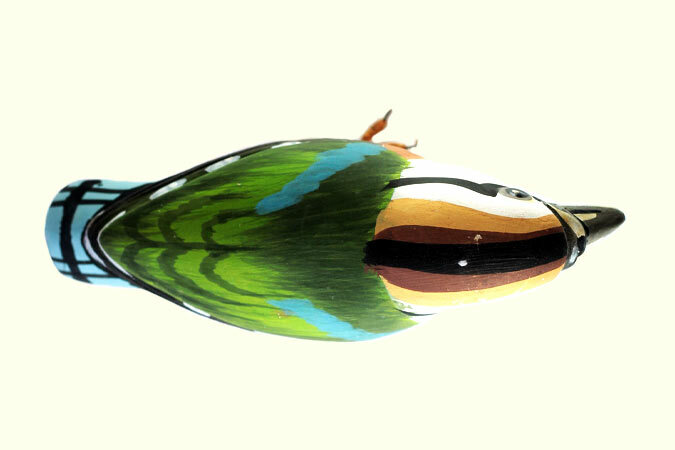 Made in their actual size and painted in their true colours, these birds appear almost alive. The anatomical details, the poses and expressions, are captured into these papier mâché sculptures with great accuracy. All this precision is achieved just by a photographic reference. Craftsmen have a brilliant combination of skills in creating realistic forms in three dimensions and then even painting the gradations of colours and details of feathers with amazing realism! Regenerated from waste, metamorphosing into beautiful sculptures and statues, charming collectibles and replicas, papier mâché artefacts also illustrate green design. Ingenious craftsmen always find ways to minimize the use of energy and resources and still create objects that can have the precision of machines. 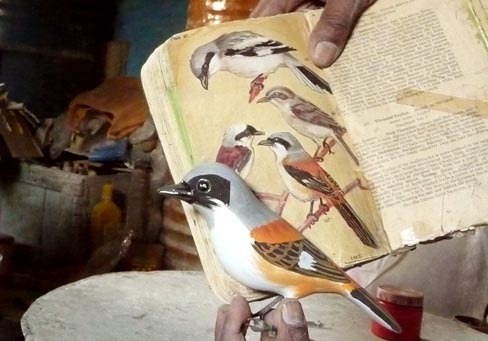 From creating realistic leather animals of Indore, to realistic papier mâché birds of Ujjain, it seems the craftsmen of Madhya Pradesh can magically capture impressions of wild creatures into beautiful objects of art. Note The artifact is brittle, proper care should be taken while handling and placing them. As each piece is hand crafted and unique, expect some variation from shown design. Stone, too heavy; metal, too precious; terracotta, too brittle…. Is there something that can..